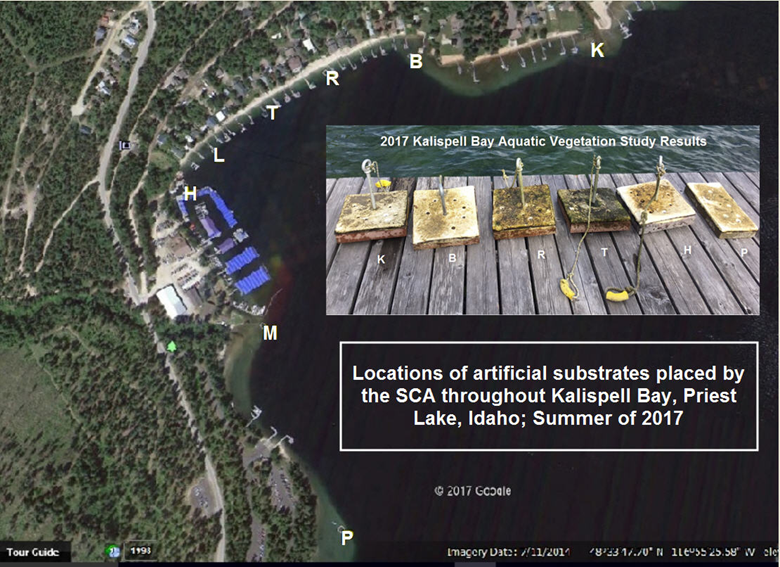 In the fall 2016 SCA newsletter I had written an article discussing the excessive aquatic vegetation growth along our shorelines in Kalispell Bay and its attendant adverse economic impact. During the summer of 2017, we decided to do something about it. Professor Jan Boll and I conducted a preliminary study of aquatic vegetation growth along Kalispell Bay. Dr. Boll is professor of Environmental Engineering at Washington State University and a specialist on water quality. As luck would have it, he also is my neighbor at the lake. We employed a technique utilized by Idaho DEQ to monitor the growth of algae. Using an artificial substrate of Styrofoam placed on the lake bed we measured the accumulation of algae by measuring chlorophyll a. See accompanying photo. The substrates were placed in 10 feet of water and sampled serially from mid-July to mid-September. Substrates were placed along the bay from the mouth of Kalispell Creek to the point southeast of the USFS boat launch. In the photo you can clearly see a marked difference from north (K) to south (P). Very little growth was seen in these areas, but in the center of the bay (R and T) there was considerable growth. The striking finding was that these were areas of obvious groundwater outflow. The conclusion of this preliminary study is that nutrients from the groundwater were essentially creating oases of seaweed and algae. When we measured the groundwater compared to lake water there was very little difference in nitrogen but significant differences in phosphorus. Our lake is considered to be oligotrophic with aquatic vegetation growth limited by phosphorus availability. We, therefore, concluded that the groundwater is being loaded with phosphorus and this in turn is creating the seaweed/algae problem. Some of the phosphorus in the groundwater is unquestionably naturally occurring from the local geology and rotting vegetation. However, there is also a probable contribution from us humans. This is what professor Boll is prepared to investigate formally over the next two years. 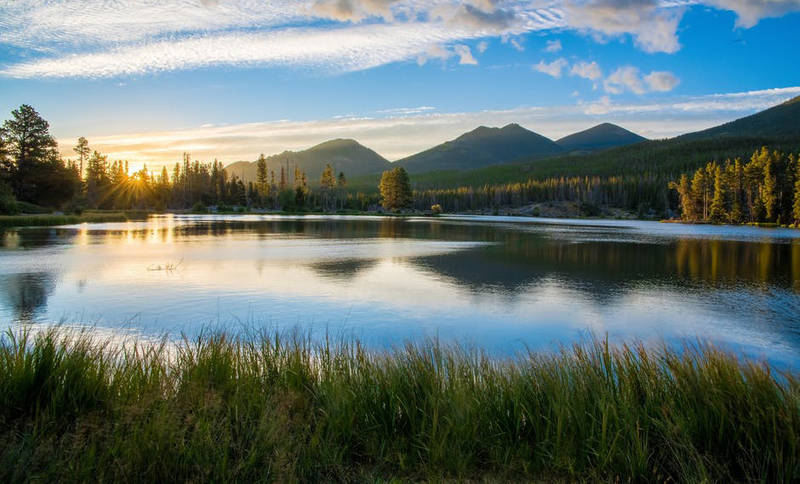 This study will fund a master’s level student from WSU to measure groundwater chemistry in the aquifer at various points and in the near shore lake environment. Hopefully in one or two years we will have some answers. In the meantime Dr. Boll has secured about 60% of the funding but more is needed. You and/or your home owner’s association can help fund this important study. Whatever is discovered at Kalispell Bay will likely have broad applicability to Priest Lake as a whole. Don’t use phosphorus containing soaps. Don’t fertilize your grass with phosphorus containing fertilizers. Consider reseeding your grass with native drought resistant grasses. Don’t dump gray water (soapy water) into the lake or onto the ground near to the lake. Don’t bathe your dog or yourself in the lake. Don’t wash your boat in the lake. Its best to take it home for a good washing. If your cabin is older, make sure that your kitchen sink does not connect to an old dry well. 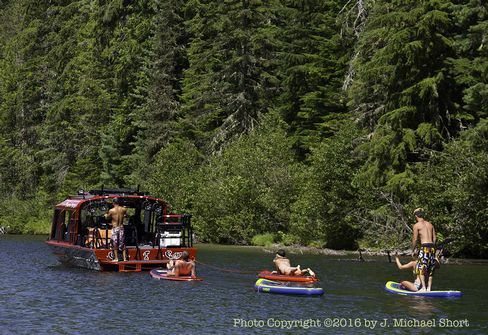 If you are concerned about excessive aquatic vegetation in your area of Priest Lake, the SCA is offering a kit that lakeshore homeowner’s can use to conduct their own science project. We will provide the artificial substrate and materials to sample the chlorophyll accumulation throughout the summer growing season. We will deliver the materials to your dock in June and pick up the frozen samples in September. The samples will be batched and measured at Dr. Boll’s lab in Pullman. In the fall we will provide you with a print out of your results with comparison data from various parts of the lake. By doing this experiment you can see how your area of lakeshore compares to others and at the same time we will be building a data base of the lake at large to determine if there are problem areas that deserve deeper investigation.